“Still, God, you are our Father. Advent begins this week with a beautiful message of hope from Isaiah. The image of God, the Potter, is one that gives me great hope. My heart, on its own, is a muddy mess; but in the hands of my loving God, it becomes a vessel designed to hold and share His Son’s precious love. God never forces His transformation. He waits for me to relax in obedience and let His embrace create a new heart in me. Psalm 51:10 goes perfectly with Isaiah’s beautiful image. In Leviticus 25:4, God instructs Moses on taking care of the land He is giving him. Sabbath rest is holy rest, and it is necessary for land, bodies, and hearts. We live in a sleep deprived society that refuses to pause. Stillness and rest are luxuries that escape us, or maybe busyness is simply a convenient excuse for not stopping. I led a very busy life before retiring seven years ago and immediately took on a new job and worked for another four years. After that, I helped with my granddaughters while my daughter-in-law finished school and began working. I know the importance of Sabbath. It is one of the ten commandments we so adamantly want displayed in public places, but I’m afraid I’ve never modeled the commandment very well. Shalom means peace or completeness, and Sabbath is the seventh day of the week set aside for spiritual renewal. We wish others Shabbot Shalom when we hope they will find a peaceful time of renewal with God. No one knows better than God how hard it is for His children to find a moment to rest in Him, and no one desires that time together more than He. It’s always been difficult for me to be still, but I am getting better at stopping my striving and being still in God’s presence. I grew up believing I had to work for God, do for God, give to God, get for God, etc…. God prefers for me to stop for a moment and simply be with Him. The practices of silence, solitude, and simplicity are vital to spiritual growth. Stillness is an important element of each. Land will be depleted if the same crop is planted year after year; the same is true for my heart. It, too, needs to be fallow for a season. Winter is a perfect season to rest in obedience and allow Christ’s precious love to seep deeply into my heart. I know God has wonderful plans, and I know that He knows my heart better than anyone. Doing is important, and God doesn’t want me to stop doing. He just wants me to take time to rest peacefully in His presence. I slept for ten hours last night and have found myself day dreaming one and off all day. I love my sacred imagination, and I love watching it play in the open space of my fallow heart. I used to think that was a waste of time, but I’m learning it’s the most important time of all. As I go into the holiday season, I plan to make stillness a part of my preparations. It is a season of peace on earth, and what better place to start than in my own heart. My heart has been through four seasons in the past forty-three years. Just as fall, winter, spring, and summer form a cycle of growth for plants, the fruit of my heart comes from dying, resting, awakening, blooming, and then beginning the process all over again. I fell in love for the first time in the fall. I was very young, and it was a beautiful example of what God wanted for me. I wasn’t ready to be loved, so I let it slip away. My thirty-year marriage was a cold winter that left my heart numb and unable to function as it should. A fairy tale romance unthawed my heart but left me mired in the mud of reality as my prince rode off into the sunset when I professed my love for him. Summer brought flowers and promises of sunlight that warmed my heart and gave me hope. Fruit ripened but spilled its seeds onto the ground before the season came to an end. I know love will grow again in my heart. Such is the cycle of growth, life, and love. Winter is the perfect time for fields to be fallow, and my heart is yearning to be fallow for a season. God reminded me to be thankful for every season, relax into obedience, and let Him transform and heal my heart as only He can. I know there will be beautiful fruit in my future, and I don’t have to know more than that. I have tasted love’s sweet fruit, and I know I will again. I also know there’s nothing better than ice and rest for an aching heart. Fear has had my heart in a death grip for over forty years, but I listened, learned, loved, and laughed my way to a place of sweet freedom this week with the help of loving family and friends. I didn’t realize how afraid I was until I got teary during a conversation with my daughter-in-law on Friday morning about their plans to build a new home. They want me to build next to them, but fear made it clear to my heart and my head that was never going to happen. I told my son I didn’t want to borrow money, and I had no intention of building or buying a house. I was going to rent a small apartment in town, and that was that. I told myself it was to keep from compromising him financially, but the real problem was not trusting God to provide. I started Friday morning thinking I would hit a brick wall, and ended the afternoon with dreams of walls going up on my new house. God used a series of seemingly unrelated events to transform my heart. I continue to be awed by God’s grace, but I know He smiles at my surprise the way I do when Lilly and Mylah squeal with delight when I surprise them. I never tire of those squeals, and I’m sure God doesn’t either. Last night, a group of ladies of all ages gathered to eat, enjoy one other’s company, and dance with abandon! Dancing the night away was God’s celebration of my freedom from fear. I didn’t recognize the songs, artists, or words last night, but I did dance with joy to healing rhythms that transformed my heart. Those who know me, know I love to dance. Nobody knows me better than God, so I’m not surprised He arranged the special gathering of sweet friends. My knee may be hurting, but my heart is healed. I would say I feel like a new woman, but I think I feel more the girl I was back in 1970. 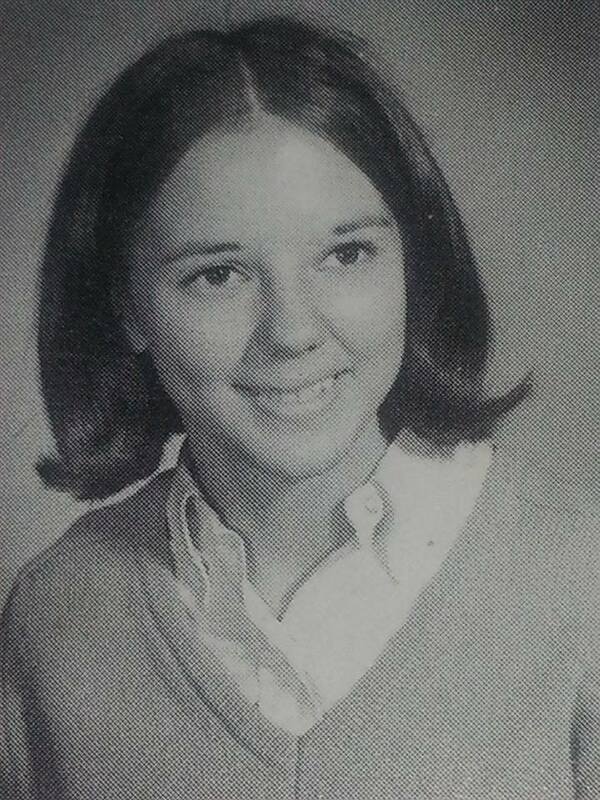 This is my senior picture at Hickory High School back in 1970. God placed it in the path on Thursday afternoon when He bid me to look back and remember what my heart was like before it got caught up in fear’s tangled web. I’ve been leading a study on Stasi Eldredge’s book “Becoming Myself Embracing God’s Dream of You” for ten weeks. Going through the book with a group of loving ladies has given me the courage to let God have His way with me. The journey from fear to freedom is never an easy one, but it’s necessary if I am to live and love as God desires. It’s hard to describe the way my heart feels outside of fear’s tight grip, but I know the young woman in the yearbook photo understands completely. The world is stretching out before me just as it did back in 1970. I made terrible mistakes, and I let those mistakes define me. I don’t plan to do that again because I like God’s definition of me best. I am His beloved, and I plan to live and love in a way that shows I believe that to be true. My heart always manages to stumble into the desert despite my best efforts. God woke me this morning with the image of water flowing in the desert because He knew my heart was thirsty and needed filling. I try to quench my heart’s thirst, but my efforts are like chasing mirages. A mirage promises satisfaction, then quickly disappears when I get close. Mirages sidetrack my heart and keep it from the path God has in mind. Oxford defines a mirage as “something that appears real or possible but is not in fact so.” Even seasoned bedouins fall prey to the illusion of water created by heat in the desert. Heat turns a reflection into an enticing pool that gives false hope to a thirsty heart. Lust, like a mirage in the desert, promises satisfaction even when the facts say otherwise. Mirages give false hope, leaving me thirsty and feeling foolish. An oasis is real and offers life-giving water to desert travelers. I thank God for the oases He has placed in my path; without them, my heart would never have survived its journey. It’s tempting to cling to an oasis, but I know I can’t. An oasis revives travelers in the desert, but it is not the destination. God knows leaving an oasis is painful and frightening, but He also knows I must move on if I am to get where He wants me to be. Mirages don’t exist, and oases are only temporary. The best wells and springs in the world will eventually run dry, but the living water Christ offers will become in me a well of water springing up to eternal life if I with trust God with my heart. It’s hard to imagine my heart never being thirsty again, but that is exactly what Christ promises. I simply have to believe Him. Christ’s love is not an illusion or a temporary fix, but I fear I have seen it as both. The image of an ever-flowing fountain of sweet spring water in the desert is a powerful one. Knowing Christ’s precious love can be forever flowing from a fountain in my own heart is more than I can imagine on my own. God will always let me chose where my heart will drink, but His Holy Spirit will hold my heart and help me drink deeply when I am ready to leave the mirages and oases and let His fountain run freely through my heart. 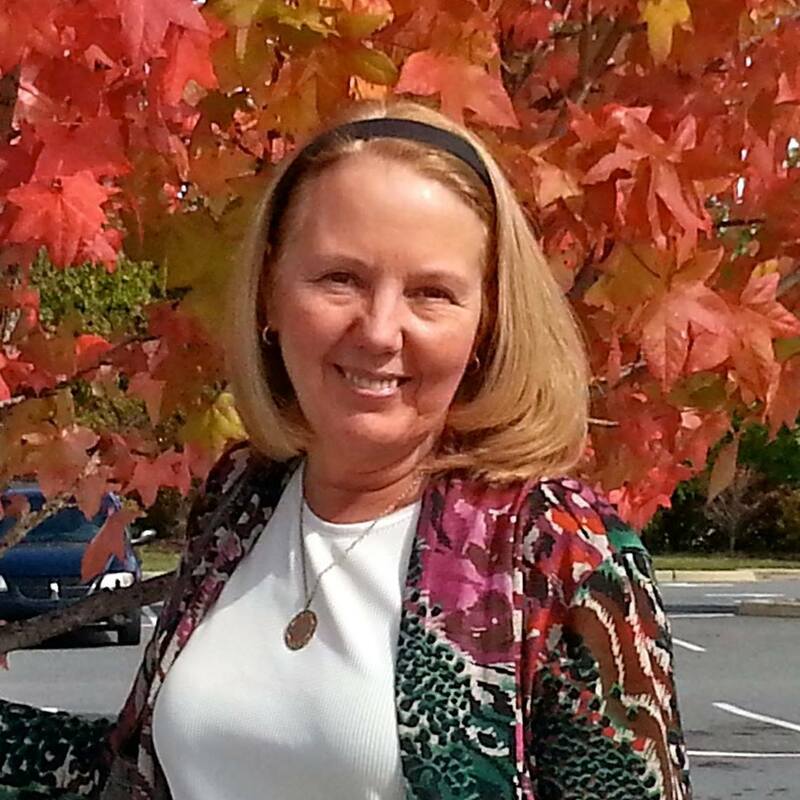 Author GigiPosted on November 6, 2014 November 8, 2014 Categories God, LoveTags Christ's precious love, John 4:13-14, living water, my thirsty heart, the woman at the wellLeave a comment on Mirage, Oasis, or Fount?